These are vintage drops that were made in Japan. 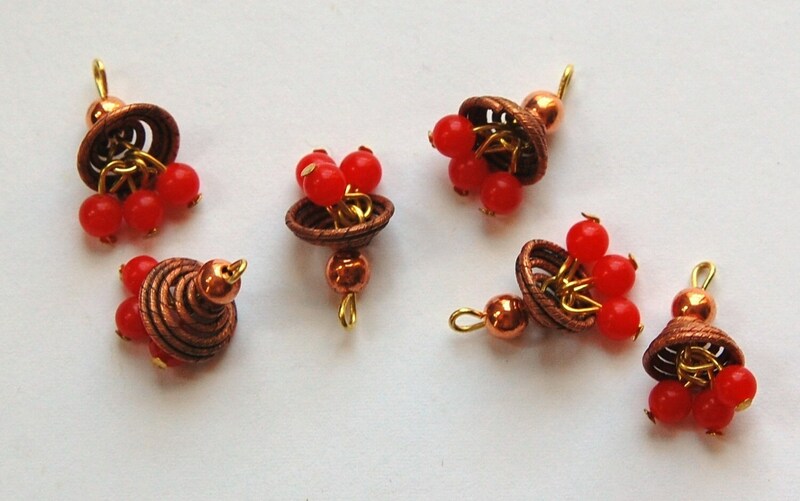 They have a neat coiled copper colored cap with a little copper bead above and red glass bead dangles below. These are vintage and may show patina. These measure 15mm long x 10mm wide. You will receive 6 pieces. These are so tiny and cute.